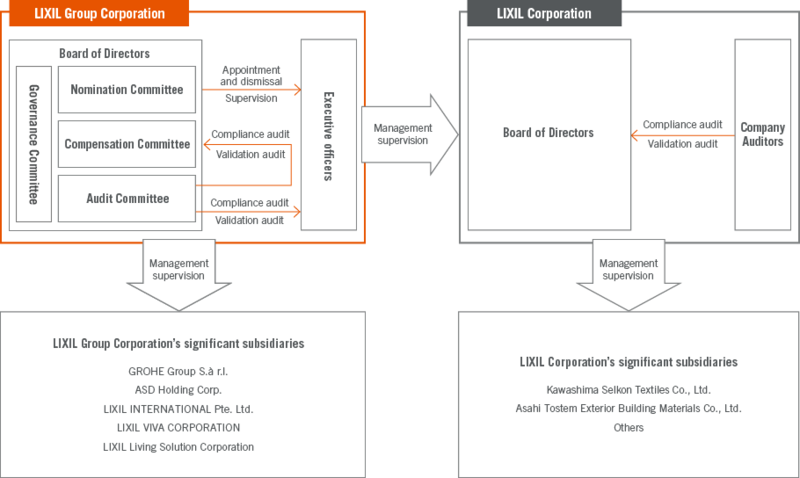 LIXIL Group Corporation has adopted the company with Nomination Committee, etc, corporate governance model as provided for under Japan's Companies Act. Under this governance system, the Company separates the conduct of management from the surveillance of management with the objectives of creating a system where the executive officers can make management decisions quickly and decisively while aiming to secure management transparency. 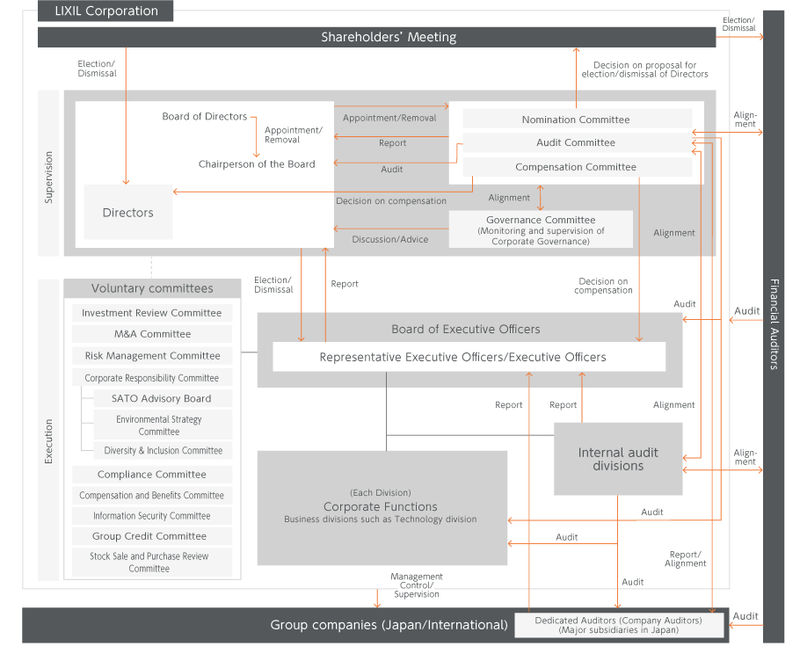 As a pure holding company, the Company has formed the following meetings, committees, and councils to strengthen governance over Group companies: Internal Audit Committee, Compliance Committee, Risk Management Committee, M&A Committee, Investment Review Committee, and Corporate Responsibility Committee. These committees discuss corporate strategy, consider medium-to-long-term policies, deliberate investments, and work to accelerate decision-making while enhancing the effectiveness of governance. The Company, while respecting the independence of each Group company, including LIXIL Corporation, regarding its business management, receives periodic reports on the status of business and gives approval to important matters. Additionally, the Audit Committee of the Company periodically receives reports on the details of audits by the Financial Auditors of the Company and the Company's internal audit divisions while, at the same time, strengthens the cooperation with the Company Auditors of each Group company by holding periodic Group Company Auditors' meetings.